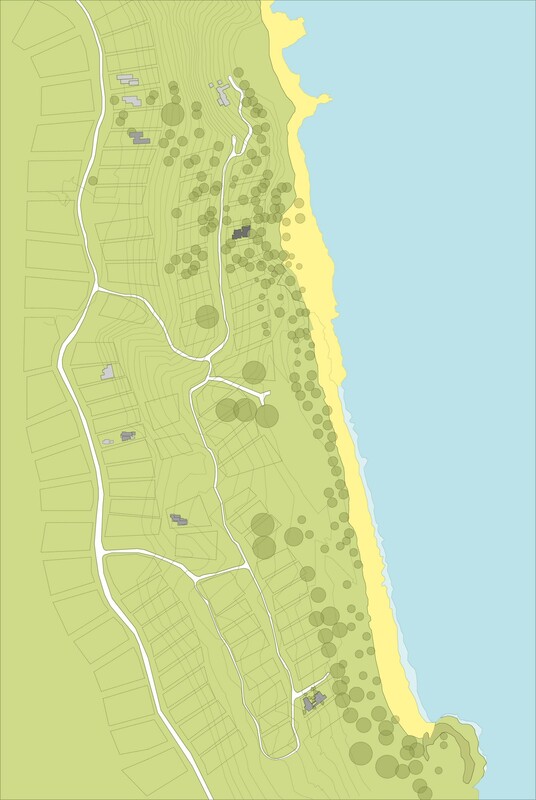 Privately nestled into the China Beach sand dune, the topography and endemic windswept vegetation of the surrounding landscape proved to be most integral in designing this completely secluded seaside residence. 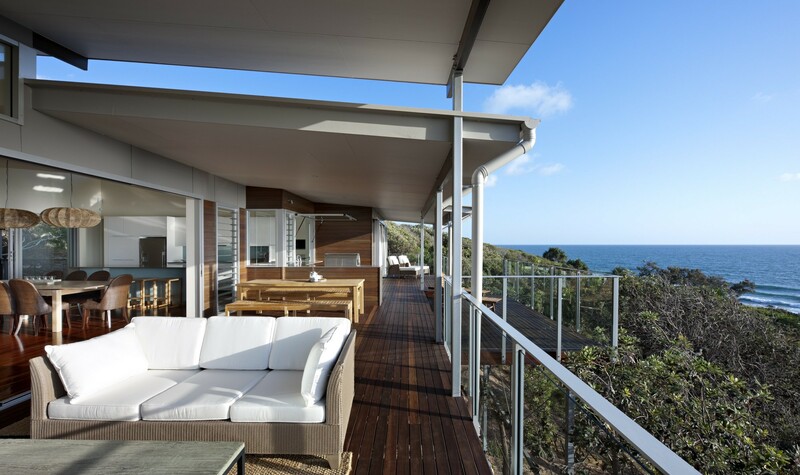 Designing any structure on this gorgeous landscape felt like building within the fragile coastal landscape of one of Australia’s national parks, and so we approached the process with immense design sensitivity and a feeling of custodianship. In celebration of its natural, coastal setting, the house explores ideas of lightness through layers of transparency, integrating concepts of indoor and outdoor living across its contemporary structure, which is a series of built stepped platforms. 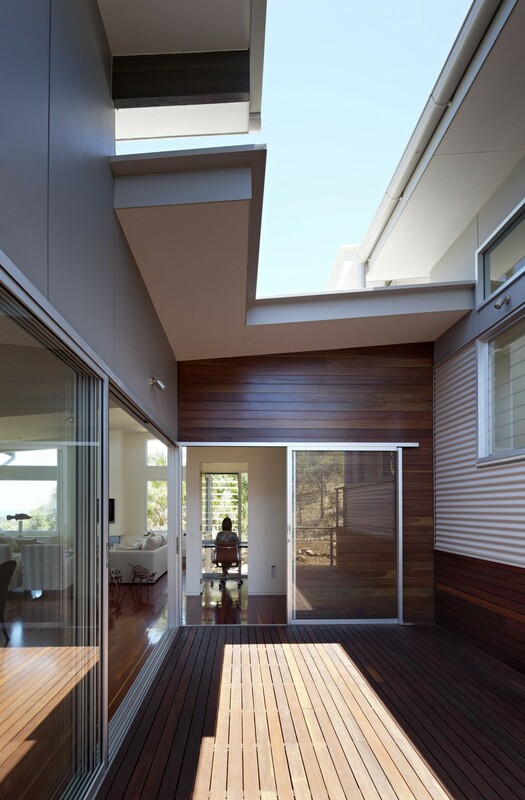 Designing with sustainable principles, we built fully operable, high level clerestory glazing that captures daylight, storing heat during the hotter parts of the day. 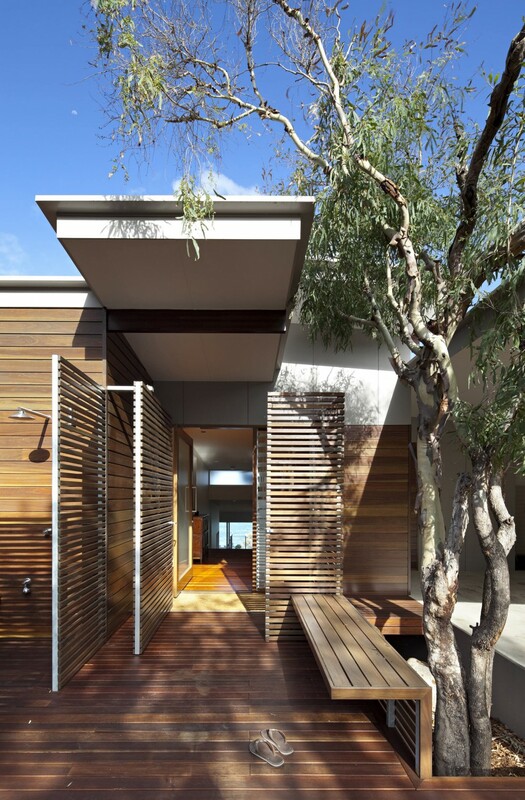 This encourages natural cooling and banks the stored heat for cooler parts of the day. 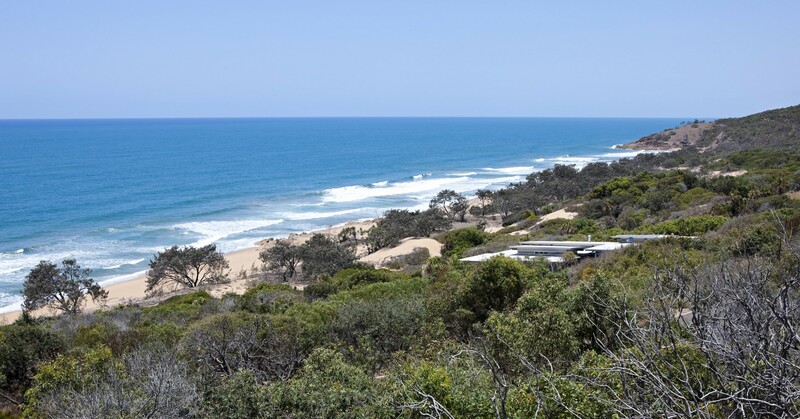 The character of the property draws on the lineage of rudimentary coastal building stock, which references the beach and fishing shacks – both an important part of Queensland’s natural heritage. We chose simple, economical and robust materials like corrugated iron and fibro cement sheet cladding to contrast with the locally sourced timber. The effect gives the house a naturally rich colour and warmth. The China Beach house is the perfect setting for a modern coastal lifestyle to unfold within a very special and rare landscape. 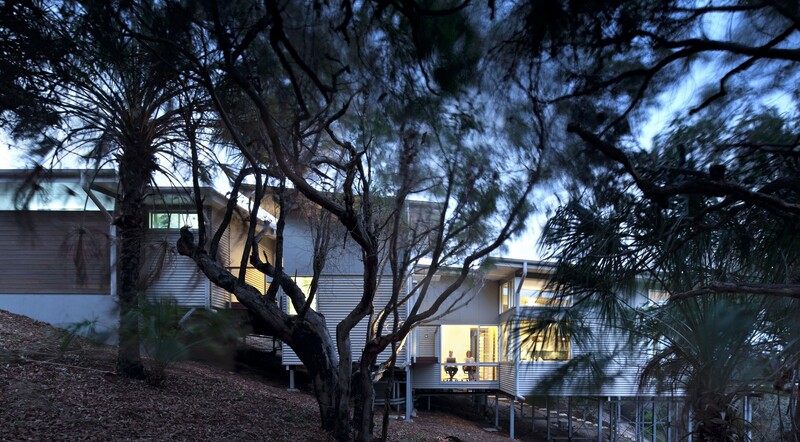 The house promotes low impact, contemporary outdoor living and at its core enables a deep connection between human life to nature and the environment distinct to Queensland. A Place in the Sun, "A Place in the Sun"